 Huge Black Friday Car Lift And Automotive Equipment Sale! What if we told you that you can get some of our most popular car lifts and automotive equipment at some of the lowest prices we’ve seen all year? If you’ve been considering getting an automotive lift or other auto shop equipment, but were waiting for a better deal, now is the time to act. These are some of our most popular items. We’re going all out with our Black Friday Sale. But we don’t limit it to Friday. These deals are good from Thursday the 27th through Sunday the 30th. 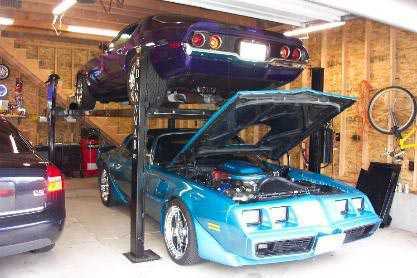 This is one of our most popular car lifts for the home / hobby customer. Great for storage and for service, this is already the most affordable ALI certified 4 post lift on the market. But now, you can get it for less than any other time this year. They are currently 5% below their normal price. Visit our web site to see these incredible deals! Dannmar Major D-12 Four Post Lift – 12,000 lb. It’s a rugged 12,000 pound capacity commercial quality 4 post lift. And it’s price hasn’t been this low – ever! Once again, until November 30th only, get this amazing deal of only $3295 for this premium quality hoist. You will not find a better deal anywhere. This has to be our most popular lift of all. Right now, the MaxJax is on sale at only $1999. This model normally sells for $300 more. This is one of the most versatile car lifts on the market. Check out our videos in the More Info section on our web site to see why it’s so popular. This offer is good until the end of November. This portable mid rise lift by Dannmar is perfect for commercial auto shops and home / hobbyists as well. And it’s now on sale lower than it’s ever been, at only $1541 with free shipping. If you’re not familiar with these hugely popular jack stands, they are simply the best on the market. The quality and workmanship is second to none. There are 3 different models to choose from. They have the traditional curved saddle, a flat top saddle, and you can even get a stand set up with both saddles, so you have the best of both worlds. While we always already have the lowest prices on these, we are now going to offer an additional 5% off until the end of the month. Any garage or truck fleet service shop needs this tool. It makes short work of removing truck tires from rims. This very useful tool is a must-have item. Check out the useful video on our web site and see how easy it works. While we always already have the lowest prices on these, we are now going to offer an additional 5% off until the end of the month. This valuable tool is a great addition to any tire shop, or garage that offers tire service. This air storage tank offers a rapid blast of air to seat the bead on the most difficult thick walled tires. Manufactured by the best company in the industry. We are now offering an additional 5% off until the end of the month. Remember – These deals on some of our most popular car lifts and automotive equipment are only good for a limited time. Shipping is free to most locations. Please call us at 860-626-9633 with any questions. We look forward to helping you. If you’re a home / hobby consumer looking for a premium quality car lift, but want something affordable, you can’t go wrong with the BendPak HD-9 lifts. They were made with the home user in mind, but are built to the same exacting standards as the popular 14,000 lb. capacity models all the way up to their 40,000 lb. truck hoists. They provide all of the same convenience and safety features, as well as the same great warranty. We know there are many choices when it comes to four post lifts. There are many poor quality options, some good choices and then there are only a select few premium choices. If you’re the type of individual that demands the best, but at a reasonable price, then Bend Pak is for you. What does BendPak offer that these other manufacturer’s don’t? When you research into the features and specifications of a BendPak HD-9 lift, you’ll see many of the same features that you would find on the typical moderate grade car hoist. But when you dig a little deeper, you’ll soon find a vast list of features that allow it to rise above the rest. The first thing you’ll notice is that the HD-9 series of 4 post lifts are ALI Certified. This is a very significant badge of honor. This certification is from an independent authority for automotive lift safety and quality requirements. Most lifts never achieve this prestigious award. And ALI is the only organized body that is recognized for it’s certification process. If an auto lift manufacturer tells you that their hoist is certified by someone other than ALI, move on. Simply put, nobody else has the clout of ALI. Beyond that, you’ll find safety features that go well beyond the normal and typical features found on most models out there. For instance, the air solenoid safety release feature provides the most reliable method for disengagement of the safety mechanism. The typical mechanical safety release system found on most car enthusiast 4 post lifts are more prone to get stuck. If this were to happen on 1 column, there is a potential for the lift’s runways to become out-of-level, and if this happens while the user is not paying close attention, the lift would likely either collapse, of the vehicle could possibly slide down and fall off the rack. Another great safety feature is the slack cable safety system. Every 4 post lift on the market has a locking safety system. This keeps the runways resting on the locking device instead of the hydraulic system. But few lifts, especially in the home market, offer a slack cable safety. This is typically found on only premium commercial grade lifts. This extra safety measure instantly and automatically engages if the cables break during the raising or lowering process while the runways are not resting on the safety locks. BendPak HD-9 lifts also offer a vast list of features designed to add longevity to the hoist and to make your life easier. One of those features is the laddered safety locking system. Have an un-level floor? Instead of using the common stepped safety system that most lifts utilize, BendPak lifts use this reliable safety system that can adjust to allow you to compensate for low or high points in your floor. This can also be considered yet another safety feature, because if your lift isn’t level, this can also be a safety hazard. Beyond that, BendPak has built their HD-9 series lifts with some innovative features that allow the components to last longer, allowing you to raise vehicles without trouble, and with little down-time. For instance, the increased the diameter of the cable pulleys / sheaves that all of the lifting cables run on. What’s the significance of this? Simply put, it extends the life of the cables by up to double the typical 4 post lift. By putting so much thought into the construction of such a fine product, you can get a better sense of what BendPak was trying to accomplish with these fine products. They offer all of the most popular accessories, including drip trays, caster kit, jack platform, rolling jacks and many others. They take no shortcuts, provide the highest level of safety, give it the highest quality powder coating process in the industry, and even offer one of the most comprehensive warranties in the industry. All this while offering a very competitive price. Now you see why we say – BendPak HD-9 car lifts – Affordable quality. You are currently browsing the Car Lift Blog blog archives for November, 2014.